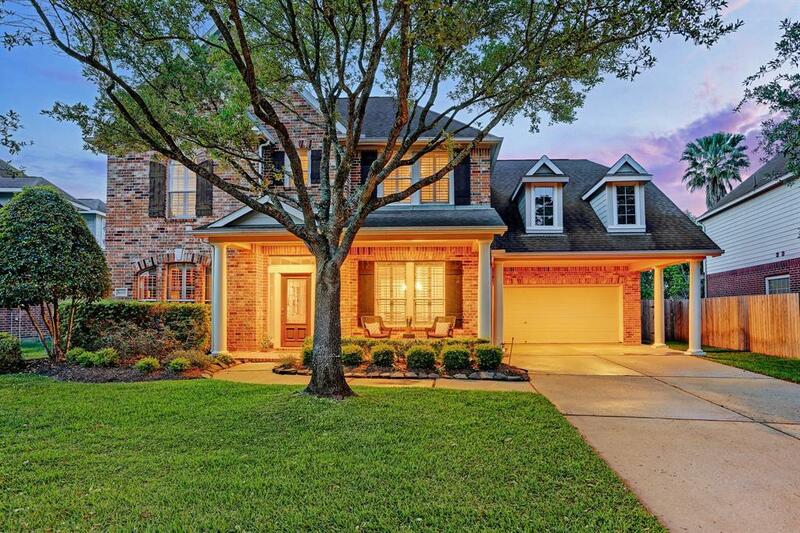 Come see this impeccably maintained Coles Crossing home with beautiful living spaces inside and out! 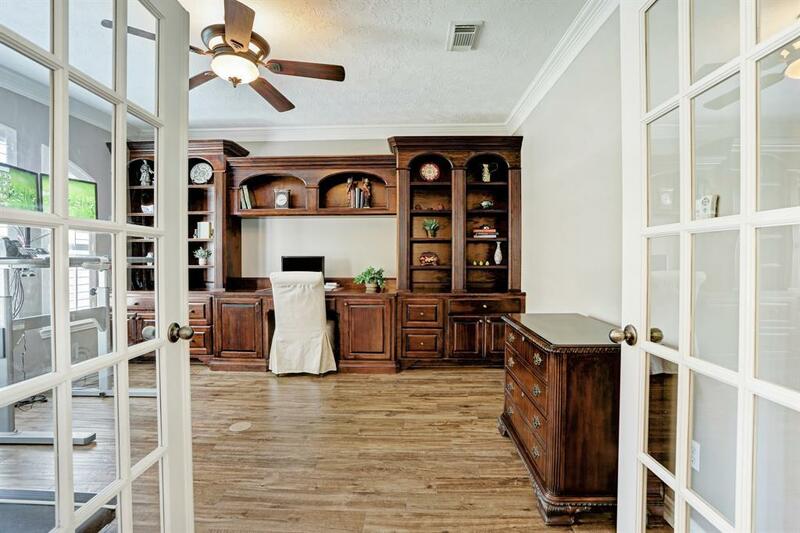 Generous front porch offers welcoming entrance to this homes open floor plan filled with natural light. 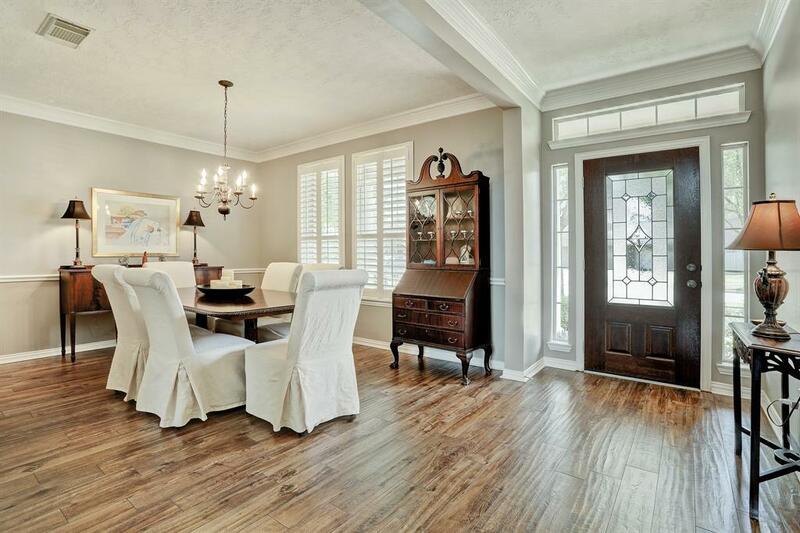 First floor features formal dining room, private study with gorgeous custom built-ins, and wood-like porcelain tile throughout. The spacious island kitchen boasts custom cabinets, granite countertops and stainless steel appliances. Spacious living room features high ceilings, gas log fireplace with marble surround and stunning backyard views. Private first floor master retreat has sitting area and enormous master bathroom with travertine tile and glass-enclosed shower. Upstairs features three generous bedrooms, two full bathrooms, loft game room, and huge walk-in storage space. 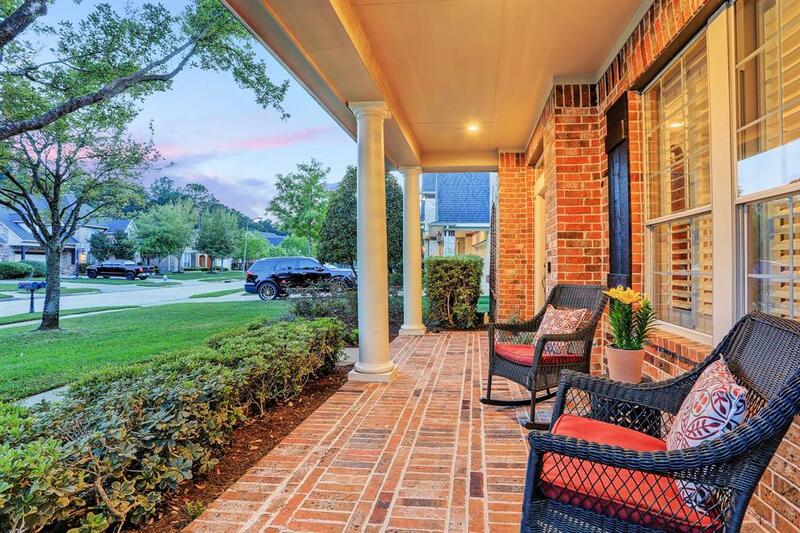 In the serene, private backyard, youll find an elegant pool/spa, brick patio cover and mature landscaping. All this, just steps away from nature trails, top-rated Sampson Elementary, tennis courts and more!